Progressives. 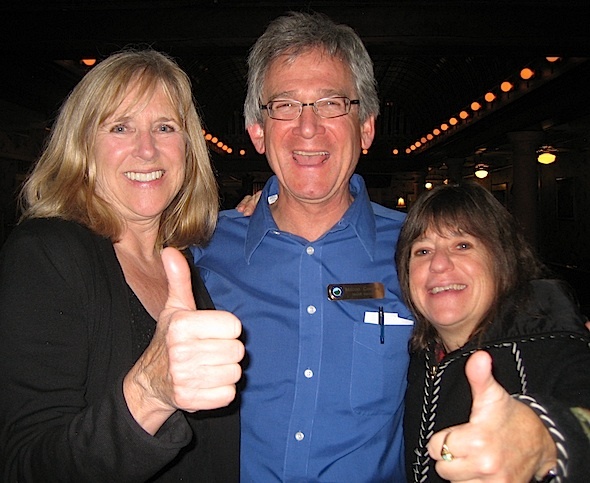 Reelected Councilman Macon Cowles (center) celebrates at the progressive candidates’ party on the Boulderado Hotel mezzanine Tuesday night flanked by incumbents Crystal Gray (left) and Lisa Morzel. Business-friendly. 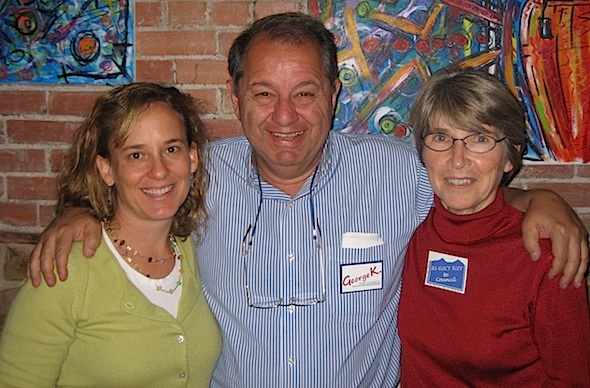 Celebrating campaign’s end at the Boulder Draft House were, pictured from left, KC Becker, George Karakehian — both newly elected Tuesday — and the top vote-getter, incumbent Suzy Ageton. Boulder voted to preserve the progressive bias on its City Council Tuesday. The final vote tally early Wednesday showed Suzy Ageton and Matt Appelbaum reelected by comfortable margins. 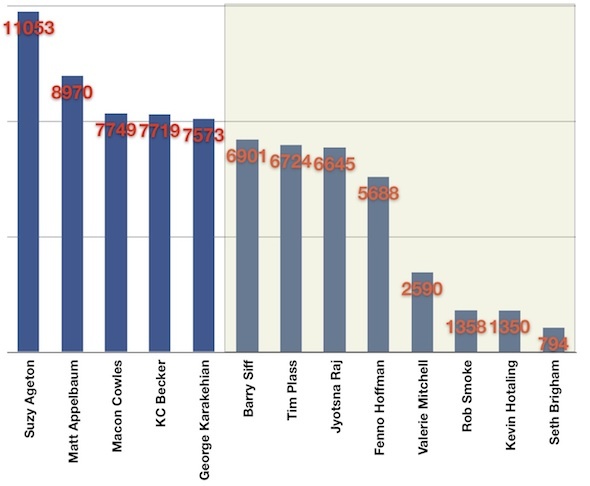 Incumbent Macon surged at the end of vote-counting to capture third place, and newcomers KC Becker and George Karakehian also won Council seats (Karakehian for two years, the top four vote-getters for four years). For final election returns, see Boulder County Clerk and Recorder website. Observers put Council members Crystal Gray, Susan Osborne, Macon Cowles and Lisa Morzel in a strongly “progressive” bloc, with current Mayor Matt Appelbaum generally going along with “progressive” positions. Viewed as relatively pro-business are incumbents Suzy Ageton and Ken Wilson along with newcomers KC Becker and George Karakehian. Then again, this is liberal Boulder, where terms like “progressive” and “pro-business” have acquired their own homegrown meaning.